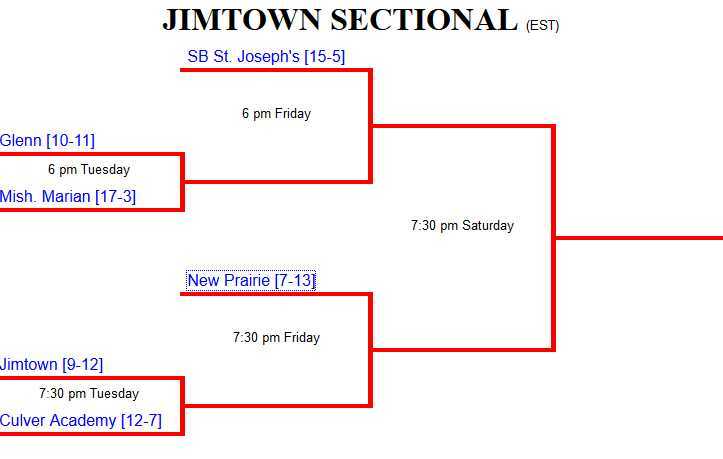 As you can see…the Jimmies will play on Tuesday the 1st in the second game of the night vs Culver Military Academy. 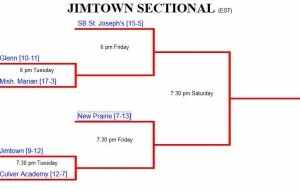 Whoever wins that game will move on to face New Prairie in the 2nd game on Friday the 4th. Tickets to the sectional (for all three nights) at $10 or you can buy individual nights for $6 each night. There will be no pre-sale of tickets. The gates will open at 5:00pm and you will be able to buy tickets at the gate. Come on out and support your Jimmies!! !